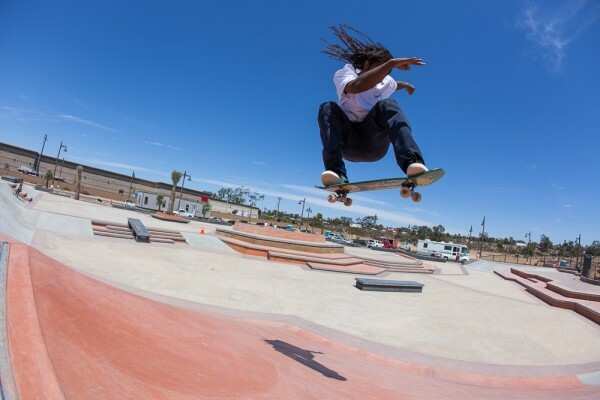 Poods Park, the new Encinitas plaza is scheduled to open sometime this summer. Named after Ian "Poods" Barry, it's huge, it's a Godsend, and it's thanks once again to Kanten Russell. We got the first crack at it and got some of Ian's best friends and TWS staffers to break it in. Stay tuned for an official opening date, for now you'll have to drool over this. Watch the video! Anthony Schultz in the pool while Conover and Cameron gram about it. Shuriken warming it up with a shifty over the enormous hip. JT Aultz, noseblunt-slide on a mellow bank in a smaller section of the plaza. Logan Taylor, frontside 180 fakie five-0 on a bank to bench that is gonna see some serious grind time. TWS Assoc. Editor/Assoc. 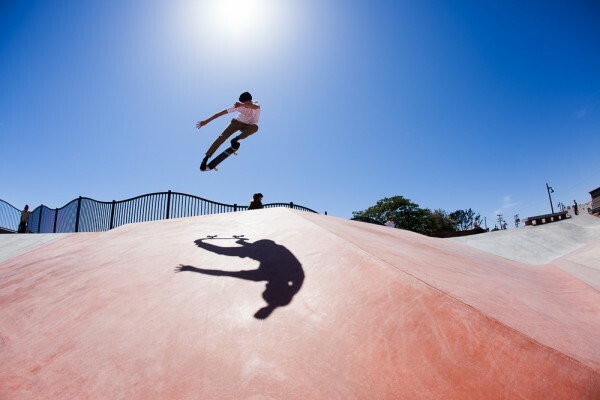 Art Director Luke Callahan, switch 360 flip the hard way! Shuriken was busting all day in the heat. Half Cab flip. TWS Art Director Keegan Callahan, gettin’ shifty. TWS Sales Manager Mike Fitzgerald, 360 flip baby! Logan Taylor, bigtime frontside heelflip. The Shuriken show, hardflip backside 180. JT Aultz, over noseblunt-slide. This hubba was unfinished. Eventually it’ll have metal edge cap on it. Different than JT’s, Keegan gets up on a proper noseblunt-slide from the other side. Matt Berger, over the back to backside five-0. Yessir! Keegan Callahan kickflip frontside 50-50! Big thanks to Kanten Russell of ASD. Always nailing the designs. The one drawback of skating the plaza early on the hottest day of the year? No trees for shade were planted yet.